With 40 years of experience and an excellent track record in terms of quality and customer service, Swish Windows & Doors is one of the UK’s manufacturing success stories. Replacing your windows can have a dramatic effect on your Tilbury home, transforming its appearance and significantly increasing its value – as well as reducing your annual fuel bill. When choosing replacement UPVC windows, Tilbury customers have never had such a broad range of options to choose from – whether they want to increase a household’s energy efficiency and security, or simply want to improve their Tilbury home’s looks. This means that there are a number of key decisions to be made when choosing replacement windows. The Swish Windows & Doors range of windows comes with a highly energy efficient five-chambered design as standard – but the rest is up to you. For example, would you prefer a classic casement design or a more contemporary tilt ‘n’ turn style? It’s important that locks, handles and hinges – even frames and glazing – do their job and protect you and your family. All Swish windows and doors conform to PAS 24: 2012 which covers enhanced security performance requirements for doors and windows in Tilbury and in the UK. Look out for features like multi-point locking and egress hinges which allow a window to open to 90o for emergency escape. 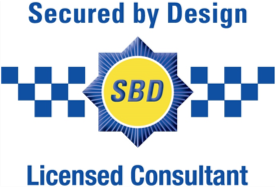 You may want to consider products that have Secured By Design accreditation – this is an Association of Chief Police Officers’ initiative that aims to design out opportunities for crime in Tilbury and the rest of the UK. These products have extra security features built in and are available from some of our Swish Authorised Installers. All of our window and door profiles a recovered by a ten year guarantee against manufacturing defects. Your Tilbury installer will offer a guarantee on the installation. Make sure that this guarantee is “insurance-backed” and offered by a DTI approved insurer. This means that if the installer goes out of business – for any reason – you are still covered. Most guarantees will cover defects in materials and workmanship, but always check the small print. If there is anything you’re not happy with, check it out before you sign on any dotted lines. or call us today on 0808 178 3040. Swish Windows and Doors is a trading name of Specialist Building Products Limited, a wholly owned subsidiary of the Epwin Group Plc. Specialist Building Products Limited is registered in England & Wales, Company Registration number: 1268689.